Facebook announced its new platform for shows on Facebook Platform, and it is called ‘Facebook Watch.’ It is now easy for the users to discover videos outside their feed quickly and they can also get a subscriber to content from other providers. It was limited to the only limited audience in the first phase. It will be available to the people in the US and the social media giant is going to introduce the experience to more and more users in the coming days. Video has proved to connect with people powerfully. More and more Facebook users are watching videos discovering them through their friends. Videos appear in newsfeeds of people and in addition to this, Facebook introduced a dedicated place to help them view videos. Watch is the new platform for shows on Facebook. 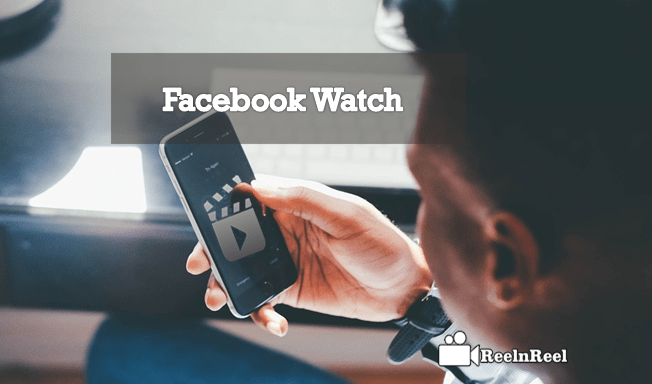 Facebook Watch can be accessed on mobiles, desktop, and laptops and also on TV apps on Facebook.There is a different kind of content available on Watch, and it can be episodes, prerecorded content or live content. There is a Watchlist which helps to keep up with the shows that the user follows. The notification of latest episodes can see here. The content is made up of original shows, company or other media partnership sponsored. Where to find Facebook Watch? Can Facebook compete with other Streaming Services? Watch is a video platform which allows the creators and publishers to find an audience and build a community of fans.They can also earn money for their creations. Shows that can engage the fans can be successful on Watch. This is also the right platform to connect with the fans with live shows. The followers can get answers to their queries in real time. This helps a lot for the creators and publishers to connect with the fans. There are varieties of shows that can be made available at Facebook Watch. How to videos, instructions videos, etc. are always successful. Shows with the consistent theme will have dedicated followers. Live events, especially sports can be successful on this platform. To find the Facebook Watch Tab, log into the account if you have one. In the left side of the screen under the name, there are ‘Newsfeed’ and ‘Messenger’ buttons. US residents can see the ‘Watch’ button also there. Facebook Watch is now officially available for US users. Initially, it was rolled out to limited people. The users can use subscriber currently to their favorite shows instead of searching for them in their Newsfeeds. Presently the highlight is in reality shows. It said that the platform is working hard to attract the audience who got used to watching shows and events on YouTube, Netflix or cable TV. The social media giant is planning to create high-quality original content of dramas or comedies. There are some outstanding streaming services such as Netflix, Amazon, and Hulu. Revenue for these services comes in the form of subscription fee. Facebook is going to fund the original video content which will be documentary series, reality shows or scripted programs. Facebook is trying to get benefit from advertising dollars. The content financed by Facebook will host on the Watch feature introduced by the social network site. The tab appears below the Messenger tab. Facebook is concentrating on organizing the content that is already popular with the users but in the episodic form. The Watch platform also welcomes submissions from the user base. Facebook has an active user base which consists of billions of active users. The users can create shows following the guidelines of the community. It can be an excellent alternative for YouTube creators for hosting the shows. Facebook is rolling content from amateur creators as well as presentations from established publications on its Watch platform. The button can found under the Messages button in the Facebook home page and the mobile app, it appears at the bottom as TV shaped button. The users can see the original shows, video series also there. The episodes on Watch run for around ten minutes or more. Shows on Facebook Watch can be watch regularly as the episodes are rolled out. They can watch live or on demand. To browse for the new series, go to the discover section in the Facebook Watch or go to Shows section in the Facebook Video app. Like the show and it added to the watchlist of the user. When a new episode uploaded, the user will notify. Based on the viewing habits of the user, the Facebook algorithm will surf for other shows. “Ball in the Family” is a reality show that can watch on Facebook Watch. Another show to watch is a show based on ‘Brandon Stanton’s’ photo series “Humans of New York” . The lives of residents of America’s largest city shown. There will be video interviews that tell a wide range of stories. Another show available to Watch is “Returning the Favor” and this is a feel-good show. Facebook also launched scripted shows on Watch platform. Some of the shows might have been already on Facebook and with broad appeal. The second season of “Loosely Exactly Nicole”, the first season series of which aired on MTV series is now broadcasting on Facebook. Facebook is also planning to get the digital rights to live sports shows. Weekly Friday Night Major League Baseball Games is now available on Watch which covers baseball, surfing, soccer and other games. Facebook is going to fund the original video content which will be documentary series, reality shows or scripted programs. Here we have listed the complete guide to know about Facebook Watch and its services. How Much Time Do You Have To Invest In Video Marketing?